The Cheltenham Female Orphan Asylum sampler sold for £14,000 at Tayler & Fletcher. Some of the best known are the emotive pocket samplers produced in adversity at the George Muller orphanages in Bristol or the Raines Asylum in Bethnal Green. The diminutive needlework offered by Tayler & Fletcher of Bourton-on-the-Water on October 18 was part of a collection of more than 40 samplers sent for sale from a deceased estate in Oxfordshire. 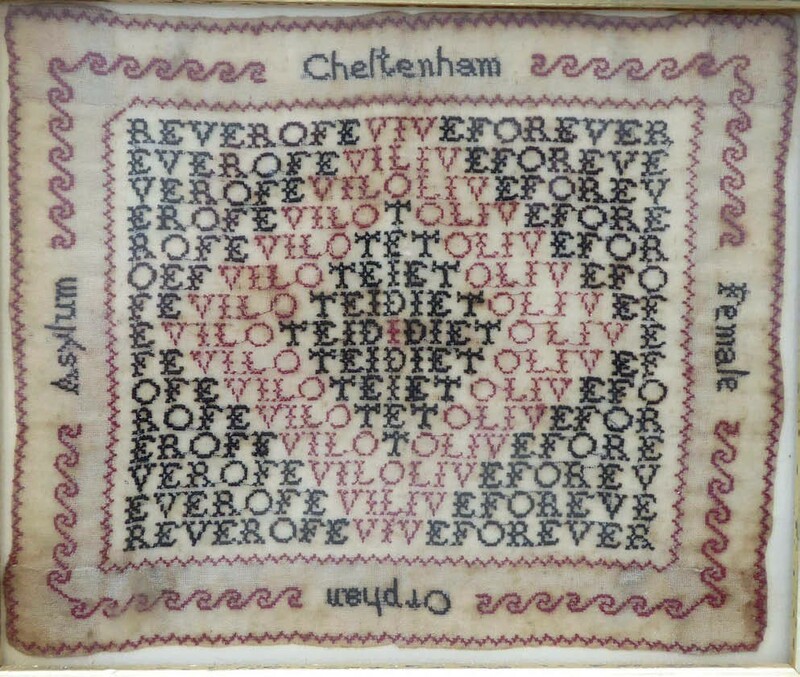 Measuring just 4½ x 5½in (11.5 x 14cm), it was worked with a repeating verse Die To Live Forever with the words Cheltenham Female Orphan Asylum to the border. The institution was founded as the Cheltenham School of Industry on May 19, 1806, by Queen Charlotte for ‘female orphans descended from respectable parents’. During its early years the school occupied a thatched barn off the high street before moving to purpose-built premises on Winchcombe Street in 1823 when it formally adopted the name ‘Female Orphan Asylum’. The new building could accommodate 24 girls who, as well as a basic education and strong religious instruction, received training for future employment as domestic servants. Funds were raised by selling the considerable needleworking talents of the girls: the 1826 edition of Griffith’s New historical description of Cheltenham and its vicinity includes ‘A List of the Prices for Plain Work’ charged by the orphanage. A series of pincushions sewn with the name of the school and mottos such as A Present from Cheltenham are also known: one sold for £300 at Wotton Auction Rooms in Gloucestershire in July 2016. The Bourton-on-the-Water sampler had been overlooked by the auctioneers, but in the days of internet search engines few can have hoped to buy it at £30-50. Following a deluge of bidding, a contest ensued between a phone and a bidder on thesaleroom.com that ended at £14,000 (plus 18% buyer’s premium). The successful phone bidder was a UK private collector who, on collection, declared herself delighted with her purchase.